We had a special guest in Brownlow today. Gaye Kerr, the founder of the Angel Wishes charity, was presented with a cheque for £250. 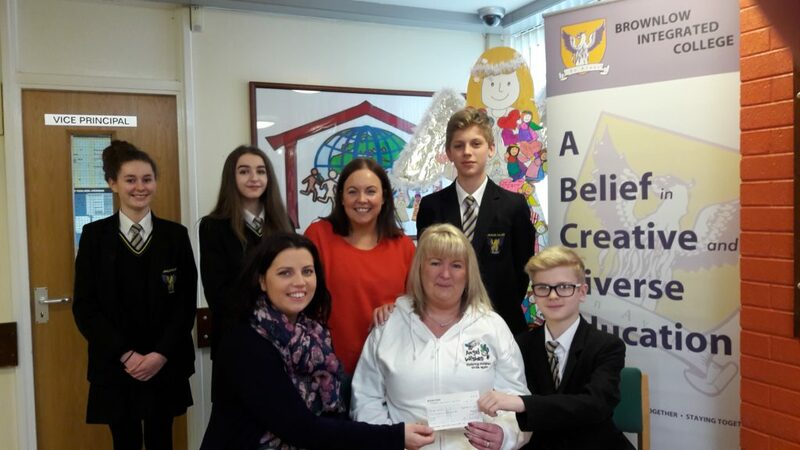 Our pupils were very generous during a range of fundraising activities throughout December. These included selling Angel Slices and Angel Quiz sheets, an “Angel Voices” karaoke competition, and making Angel Wish Christmas decorations. Gaye spoke to pupils to explain the purpose of the charity and the work that she does is an inspiration to us all. Thank you Gaye, for everything you do, we think that you are an Angel! Also, many thanks to those who contributed prizes including Mrs Ann Watson, the staff at the Sassy Elephant, Rushmere Shopping Centre and Kate’s Place in Legahory.